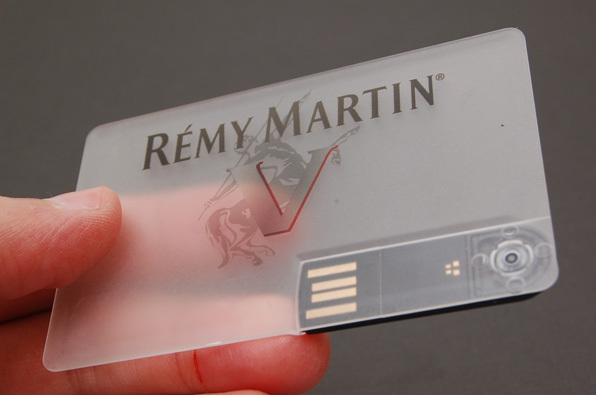 Remy Martin ordered our Wallet Card Spin drives the other week. They went with the translucent version and their full color logo printed on the front. Let’s drink to that. i am a huge Remy Martin fan! 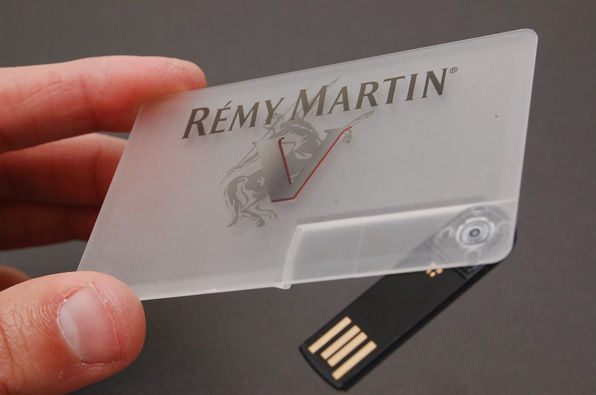 (the cognac) and i would love to have one of these… is there a way i could get one? I think we’re out of samples. If we do another order, I’ll get a hold of you.